Because making easter eggs is so fun, we have another Hive Riot decorating tutorial for you! 1. Plastic or hard boiled eggs. First step is to dye or paint eggs any color of your choice. Cut streamers into little shreds. Its good to get a variety of sizes. 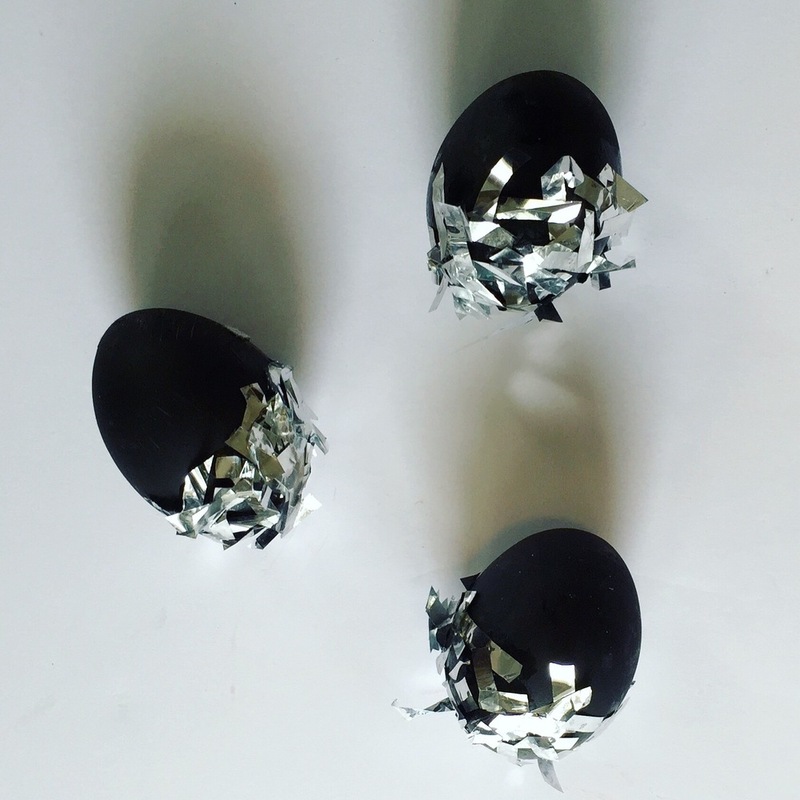 Spread a thin layer of glue on to the bottom of the egg and dip into the confetti shreds.